I have a confession to make right off the bat. 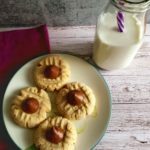 I don’t actually call these cookies “peanut butter blossoms.” Growing up, my mom always made these to celebrate Groundhog’s Day, so I’ve always known them as “Groundhog’s Day Cookies.” The chocolate kiss represents the groundhog and the cookie represents the ground. But since most people know them as peanut butter blossoms (and since these are a perfect treat any day of the year), I’m going with a more common name. 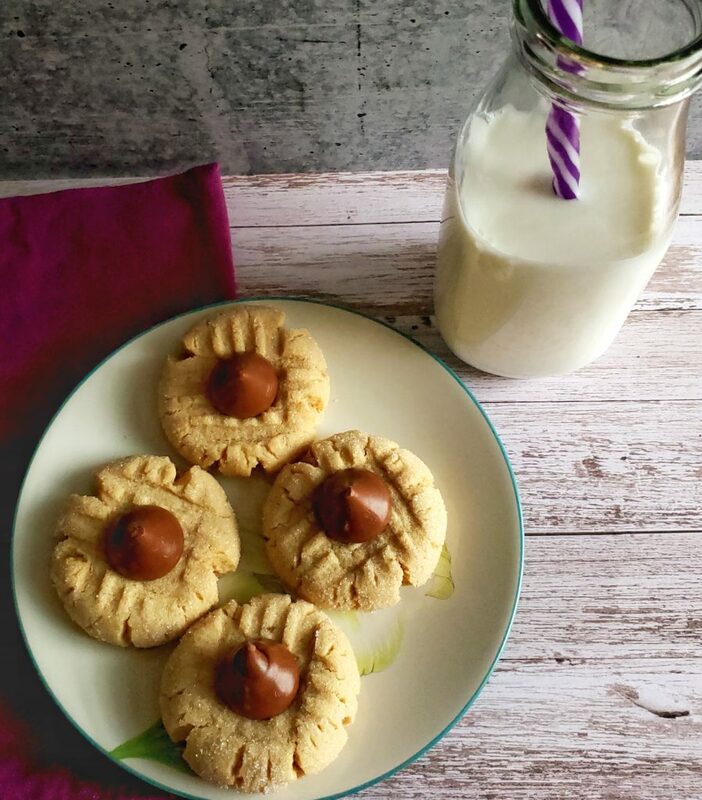 What makes these stand out from other peanut butter cookies is the hint of maple flavoring. My recipe calls for 1 teaspoon of maple extract, which complements the peanut butter and chocolate beautifully. This dough is very soft, but that’s okay. The cookies are also soft and a little bit cracked. I like that because it’s more “ground-like,” which is perfect if you make them for Groundhog’s Day. At least that’s my experience, since these are gluten free. If you make them gluten-full (which you absolutely can) they might be a little less cracked. Each cookie is rolled in granulated sugar and stamped with a fork, forming a crisscross pattern. Don’t put the kisses on top of the cookies until after they’re finished baking. Otherwise the chocolate will melt too much. 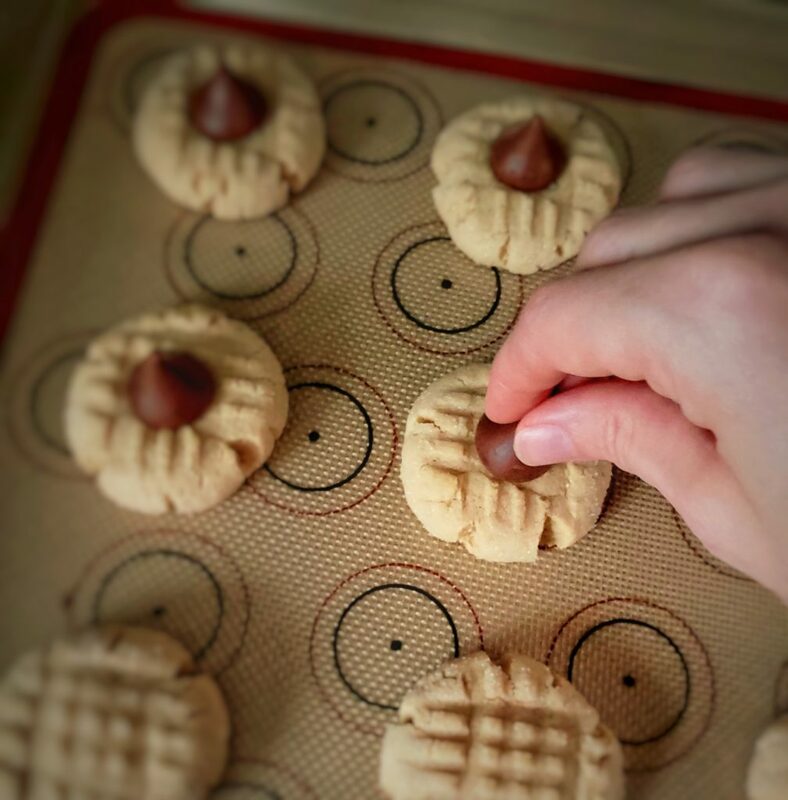 Press a kiss gently on top of each cookie as soon as you take the pan out of the oven. Let the cookies rest on the pan for 5 minutes to firm up a bit before moving them to a wire cooling rack. If you don’t celebrate Groundhog’s Day, maybe you should! It’s fun recognizing random holidays that don’t get as much notice (like Presidents’ Day)! 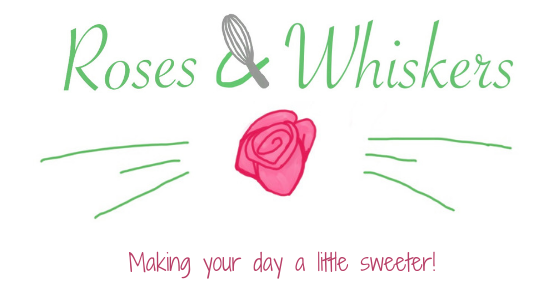 If you make these next near or any time, tag me @rosesandwhiskers on Instagram and use the hashtag #rosesandwhiskers. 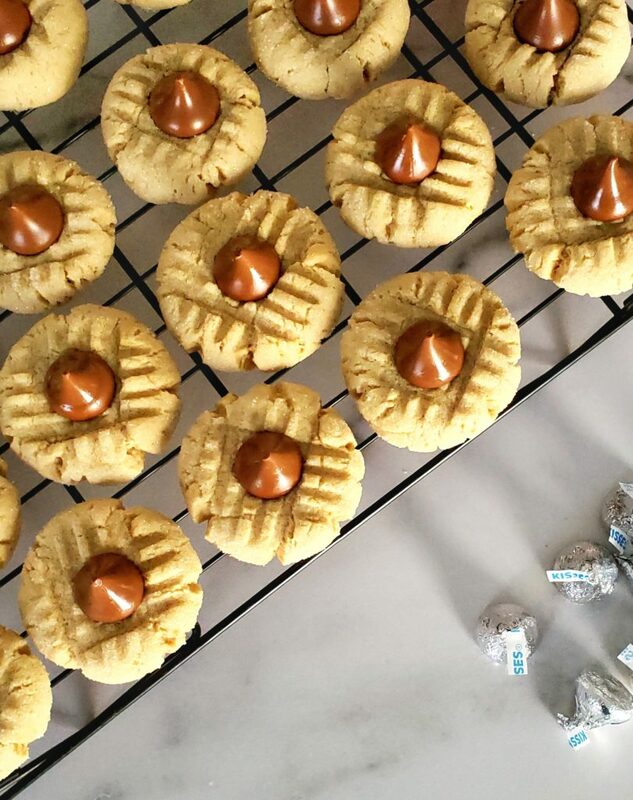 A soft peanut butter cookie with a hint of maple, topped with a chocolate kiss. In a large bowl, cream the butter, sugar and peanut butter on high speed until smooth and creamy. Beat in the egg until incorporated, and then mix in the extracts. Mix in the flour and milk on low speed until just incorporated. 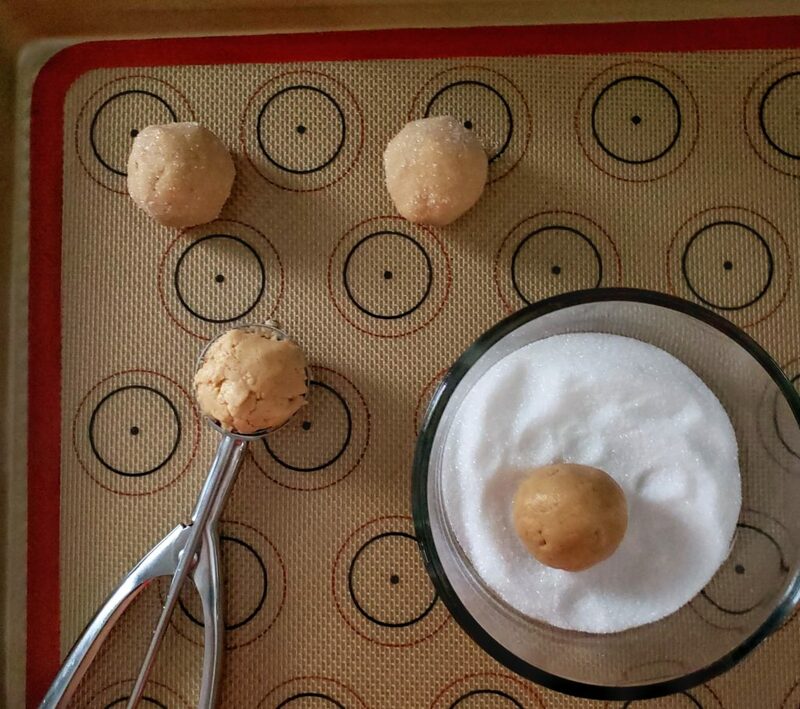 Scoop 1.5-inch balls of dough and roll each one in the granulated sugar. Place them on the prepared baking sheets, no more than 12 per pan. 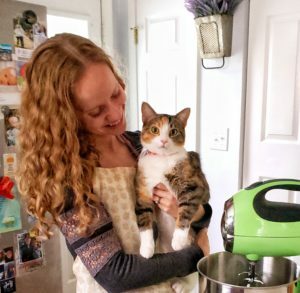 The dough will be soft. 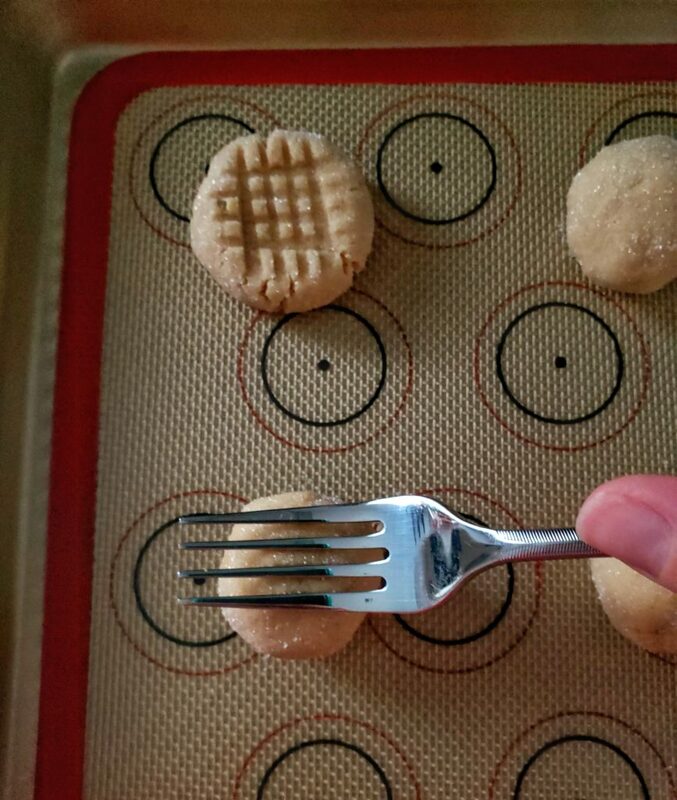 Use a fork to gently press down the top of each cookie, forming a crisscross pattern. 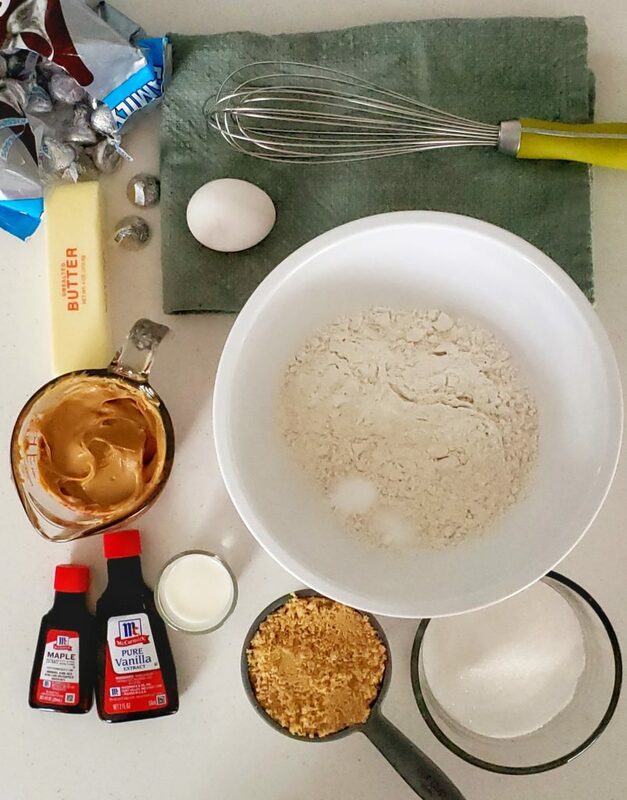 Bake for 8 minutes (one pan at a time). Take the pan out of the oven and gently press a chocolate kiss on top of each cookie. Let them rest on the baking sheet for 5 minutes before transferring to a wire rack to cool completely. Store in an airtight container and enjoy!